There are a number of solar PV panel brands around that are worth thinking about. Typically, choosing a bigger brand like Sharp, Yingli or Suntech Solar is a quite safe move. But that’s not to say that other, smaller manufacturers aren’t worth considering too. For all the companies you consider, do some online research, check their customer reviews and find out about the length of their warranties. And importantly, make sure that their panels comply with MCS regulations (most big companies do) so you can get money from the Feed-in Tariff. There are quite a few different types of solar panel available. These include monocrystalline, polycrystalline and multicrystalline. The best solar panels for you depends on you and your home. Determine the amount of space you have for your panels, the maximum weight they can be and your budget. Then you can select a panel type. For example, monocrystalline panels take up relatively little space, are very efficient but also rather expensive. Thin film solar cells, on the other hand, use up more space but are more affordable. When you’re selecting solar panels, you’ll also have to pick your priority: efficiency or profit. The most efficient panels tend to be the most expensive. This means that although they’ll generate a lot of electricity, it’ll take you longer to start getting a return on your investment than if you purchased cheaper, less efficient panels. 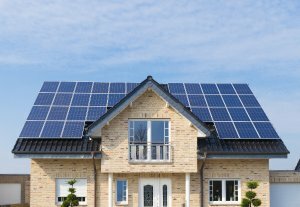 It’s wise to have a general idea of how long you’re likely to be living in your home when you’re searching for the best solar panels for you. If it’s a fairly short amount of time then you’ll most likely want to choose cheaper, less efficient solar panels. But if you have plans to stay in your home for a long period of time, you may wish to choose a more efficient and expensive system. This is because it’ll make you more income in the long run. A reliable installer can be valuable when you’re searching for solar panels. 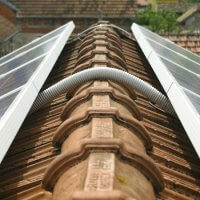 They can assess the area where you want to fit your system and advise you on the best solar panels for you. They can also help you work out exactly what your solar panel earnings will be and when you’ll start making them. It’s vital to check that the installers you find are MCS-accredited. Otherwise, your solar panel system will not be eligible for the Feed-in Tariff. It’s also sensible to have a look at customer reviews to make sure that you get a trustworthy and knowledgeable installer. When you’ve done some research and are ready to find some solar panel installers, complete our online form. We’ll connect you with up to 4 local professionals who should help you install the best solar panels for you.